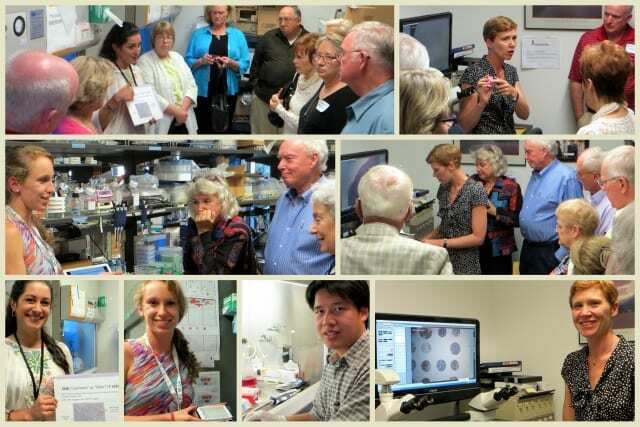 Dr. Nghiem's Laboratory hosted the 2013 Merkel Cell Carcinoma (MCC) Dinner Meeting for patients and families. Over 140 patients, family members, clinicians, scientists, and trainees gathered. Masaoki and Kaifeng attended the Meeting. 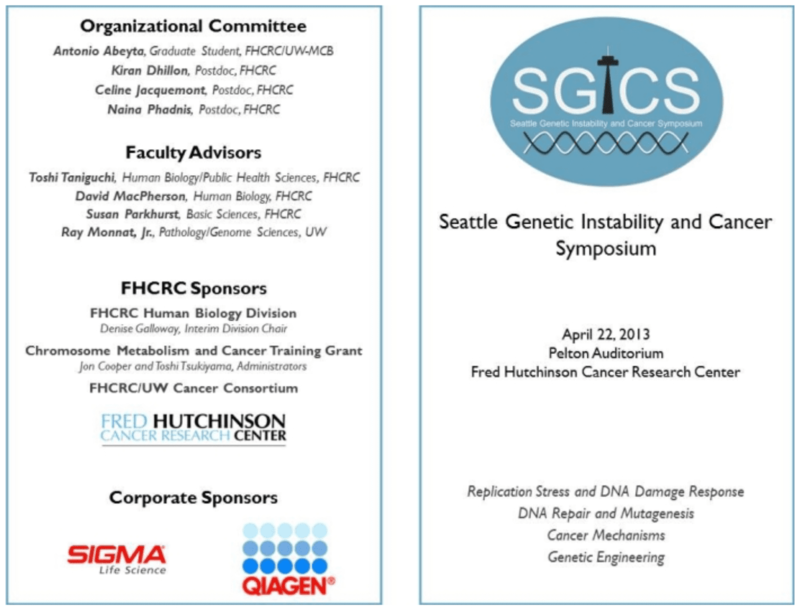 Masaoki gave an oral presentation at the 1st Seattle Genetic Instability and Cancer Symposium (SGICS). 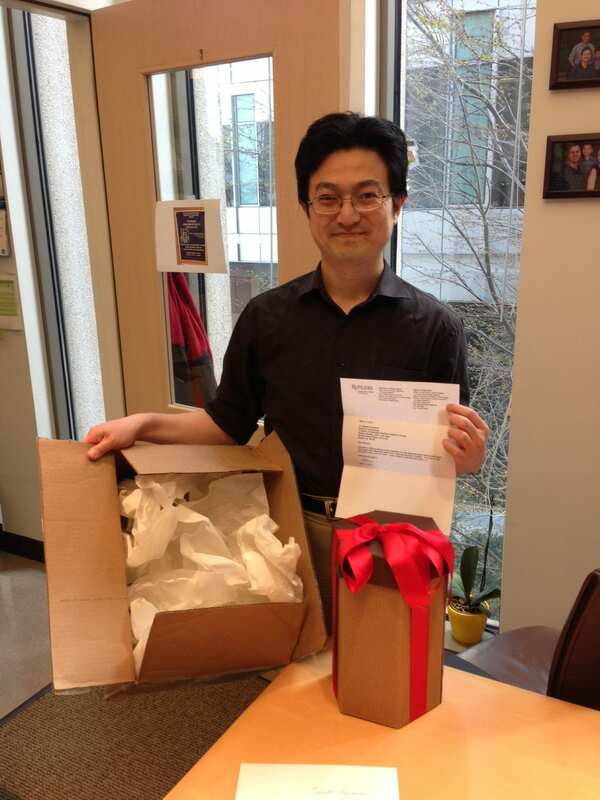 Masaoki received a highly selective, 3-year Research Career Development Award from the Dermatology Foundation. Masaoki enjoyed delicious biscotti, a special gift from Allan H. Conney, PhD (Professor of Chemical Biology, Rutgers, The State University of New Jersey).